Self-driving tractors, smart supply chains, warehouses operated by robots and self-diagnosing, self-healing machinery are all extraordinary examples of how the industrial sector is leveraging the endless possibilities of Internet-of-Things. According to some estimates, by 2021 global IoT spending across different industries is expected reach almost $1.4 trillion (IDC). Industrial IoT (IIoT) will help to improve infrastructure, fine-tune operational efficiency and achieve business excellence. 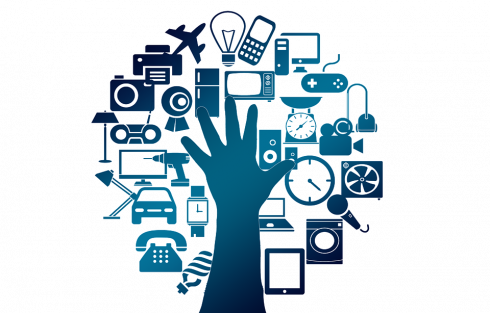 The hyper-connected nature of the IoT has made application development on IoT platforms highly complex, requiring seamless interactions with a multitude of software, hardware and an agnostic approach to where data is processed — in the cloud, on the edge or a hybridized mix of the two. Constantly-evolving variations of the core use case arise, with little time for development, testing and deployment. Whether to meet customer demand or to meet their own digital transformation goals — or both — enterprises need to quickly build and deliver applications for IoT platforms. Microservices, a software architecture system, has emerged as the preferred way to meet these enterprise requirements. This technique involves applications being built up as a suite of independently-deployable, small, modular services. Each service runs a unique process and communicates with the other over standard protocols with well-defined interfaces to serve a business goal. These individual services solve a number of important challenges including interoperability, agility, flexibility and scalability. Well-designed microservices allow container-based deployment which further optimize the use of computing resources. Microservices enable massive and elastic scaling of a service. This is based on IoT device adoption and data growth, as well as streamlining the service orchestration process. Structures built out of microservices allow for heterogeneous device access, in which different types of radio access can be used to architect the platform for optimum performance. The application becomes more resilient, as the failure of one microservice does not lead to the unavailability of the whole application. Indeed, small and independent deployments minimize risk to the overall platform. The independence of microservices makes scaling of application easier, as only the services facing heavy load can be replicated onto additional servers. Loose coupling is an essential characteristic of microservices. Each microservice can be deployed on its own with zero coordination with other microservices. This loose coupling enables frequent and rapid deployments, making the platform more agile, therefore getting much-needed features and capabilities to the consumer — faster. A combination of these factors allows continual improvement and upgrades of IoT solutions without requiring a complete makeover of an entire platform. The microservices approach is not without its challenges. The architecture can suffer from network congestion and latency due to the volume of inter-service calls, additional marshalling and unmarshalling, increased resource usage and problems in correlated logging across services. However, a well-designed microservices architecture helps to solve these challenges. The compact and modular nature of microservice applications allow deployment in resource constrained environments such as an Edge Gateway, which is closer to data generation. A distributed Edge computing with microservices architecture results in significant reduction in latency combined with swift decision-making. Microservices architecture gives the user flexibility to run applications in Edge, datacenter or Cloud environments. A microservices approach provides the building blocks. Enterprises need a robust strategy for application development and deployment to ensure IoT success. An effective strategy takes into account all the needs of an end-to-end service. From design to deployment, industrial applications of IoT need to be specialized enough to be relevant to each vertical sector while scalable and agile on the IoT platform. Competitive differentiators come in the form of AI/ML-powered insights and high-velocity DevOps services that can extract optimal ROI on digital transformation services.